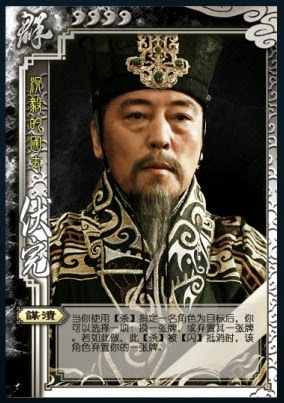 When Fu Wan attacks another character, he can draw a card or discard one of the target's cards. 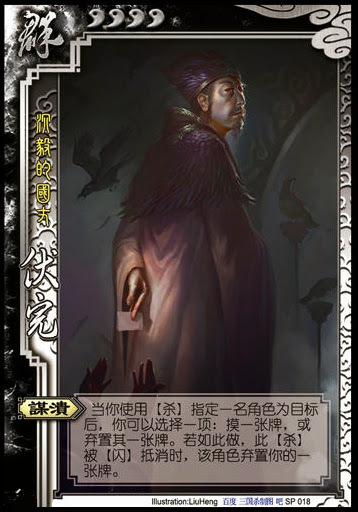 If he does either and the attack is escaped, the target can discard one of Fu Wan's cards. Fu Wan has the same power as Mu Shun. Fu Wan does not have to use "Plan for Defeat". He can choose to attack normally. If he attacks without his power, he does not have to suffer the negative effects if the attack is escaped.